Nowadays people dive deep into the internet for any need. 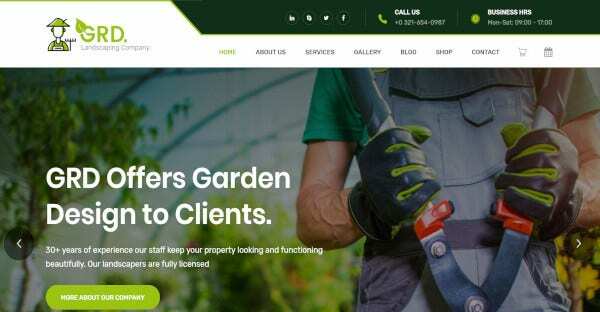 When you want to captivate your client by your impressive site then you must highlight your gardening and landscaping utilities by adorning your website using the latest impressive WordPress themes and templates. You can skitter through the following given themes and templates and choose the most worthy one. 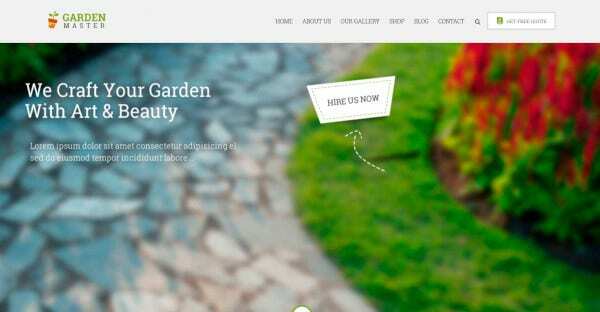 It is a highly responsive WordPress theme and can be used for laptops, mobile phones, and PCs. It is WPML compatible, so it supports multilingual functionality. 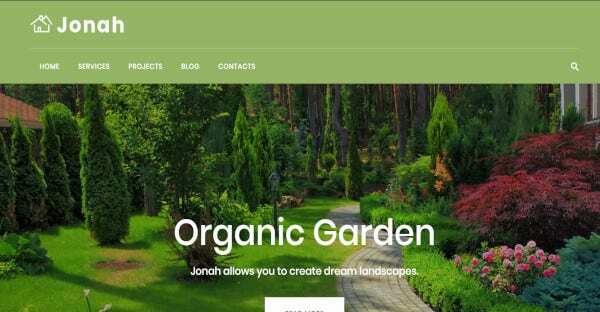 This WordPress design theme includes portfolio can help in the proper portrayal of your independent projects. It has Bootstrap support which allows you to design your website with simple, easy steps. 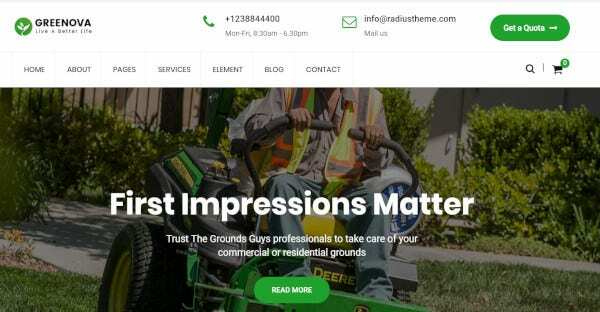 This mobile friendly WordPress theme is compatible with Visual Composer and Revolution Slider to furbish your site to attract customers seeking for gardening and landscaping apparatus. You can create your website easily and hassle-free without the need to learn advanced coding and designing skills. You can do it singlehandedly using demo videos. 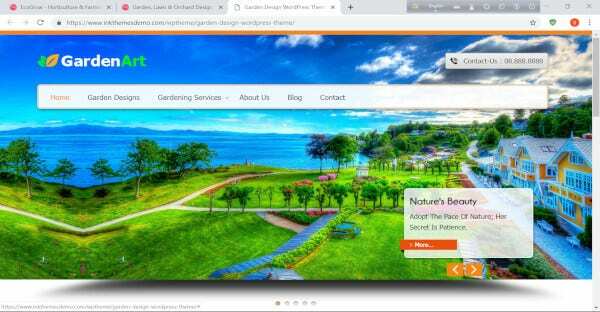 It is ideally suitable to design site with browser compatibility, valid with HTML5 & CSS3 files for gardeners, florist, and landscape architect. The interface is compatible with all types of devices like laptops, PCs and mobile phones. It offers boxer slider to display your gardening and planting equipment in the eye-catchy slides. 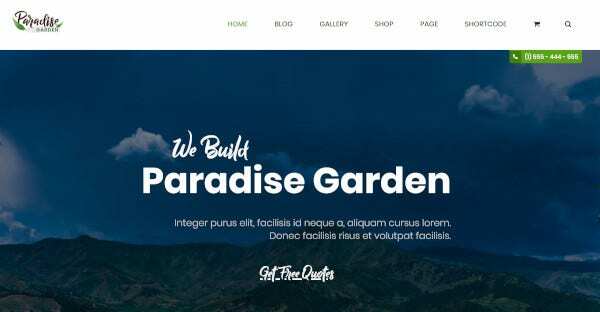 This gardening WordPress template can be used to design a perfect webpage for showcasing landscapes and gardening equipment. It is equipped with drag and drop Elementor to add fascinating content for your audience. You don’t need any coding skill to frame your impressive website. 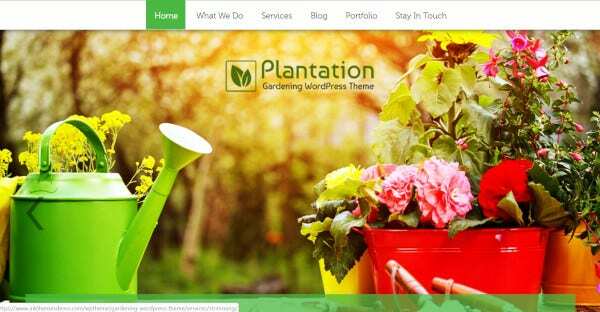 It includes one-click demo importer to install this WordPress theme for creating your new website to flaunt your gardening and landscaping paraphernalia. It is WPBakery compatible for powerful page building. It is a user-friendly theme with an intuitive interface to feature your subject of business. 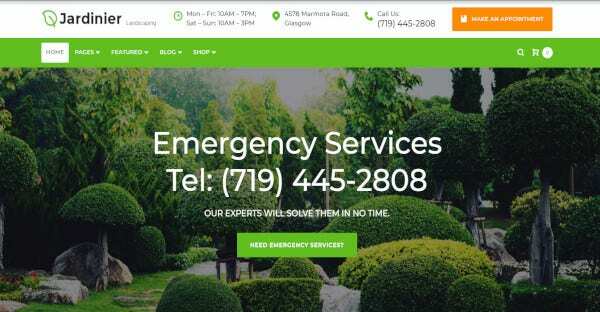 You can attract your clients by using this WordPress 4.9+ version theme and comes with full-width slider to display your services offered. You can access four column service areas to feature your key services for your clients. It also offers entirely simple and easy to use options, and a blog section to detail your products with sufficient information to guide the amateur enthusiasts. It has a powerful drag and drops page builder to customize your website accessing the whole set of a library of presets and modules. This theme is available at a very affordable price. Content modules help to craft your page with innovative contents. It has a drag and drop page builder to create and rearrange contents easily using simple clicks instead of taking the toil of learning to code. You can make bewitching animation slides to enhance your business using the Revolution Slider. It supports multilingual platform using the WPML plugin. 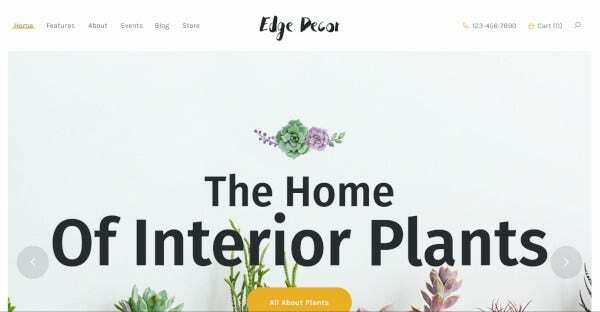 With this SEO-friendly WordPress theme you can design your page structure using the vast library of layout options, and you can save your favorite layouts for quick access. You can frame a sleek looking website using your various filter options. An array of custom widget helps in adding functionality to this theme. It has content modules, cherry projects, custom widgets, live customizer layouts. 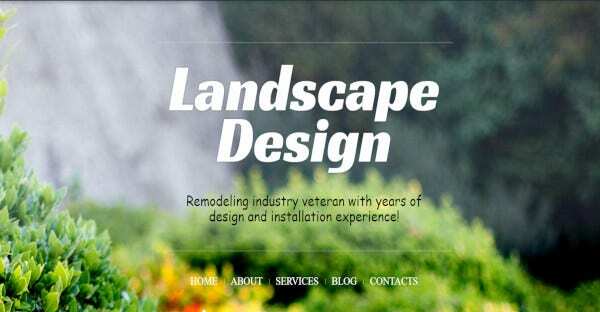 You can flaunt your garden designing and maintenance services using inbuilt functional sections. It also offers the facility of customer testimonials for getting real customer review on your flawless online business. The footer section of your home page has widgets to add advanced functionalities. 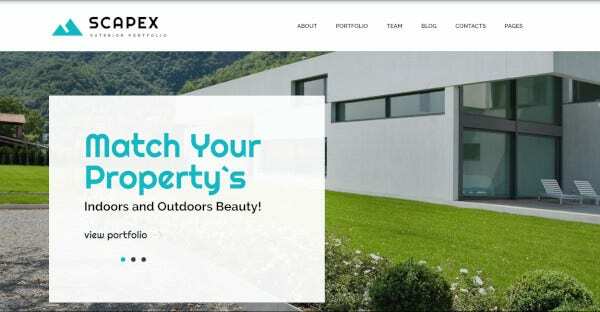 This WordPress theme offers retina ready icons with stunning typography to bewitch your customers with your presentation. It is compatible with Visual Composer. It comes integrated with many shortcodes and customized widget to add much functionality. It has a powerful framework to create a user-friendly website with various layouts. It is compatible with Visual Composer and Slider Revolution. 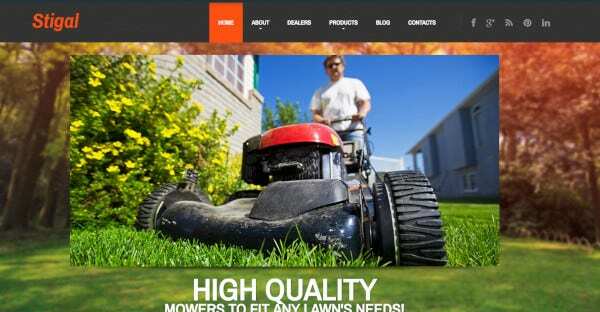 It has a WooCommerce plugin to support the online purchase of gardening and landscaping utilities. 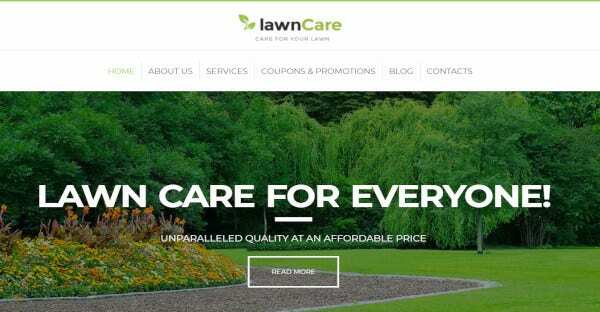 This theme is highly suitable to design a website for gardening, lawn, agriculture, lawn services, and landscaping companies. It also offers Visual CSS Style Editor. It has a retina ready interface. 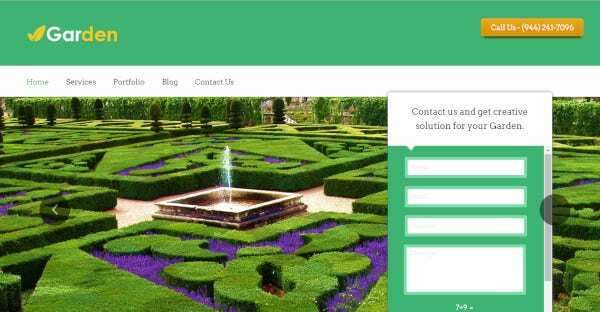 This theme is used to create a modern and elegant site to draw appropriate customers for online business on gardening and landscaping. You can create a unique design to stand apart in the online business. It has a mobile-friendly interface. It is fully responsive, so it has a user-friendly interface in every device. 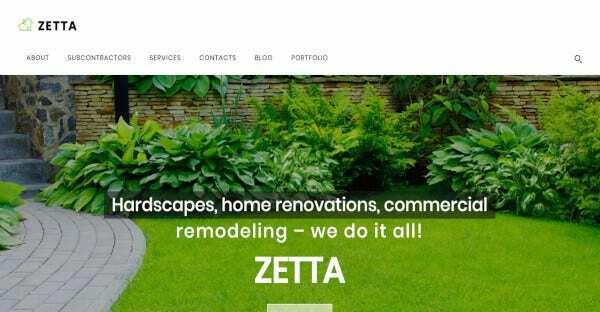 You can design your webpage to appear like a gallery presenting your gardening and landscaping equipment using a myriad number of layouts. The Cherry search plugin enhances the productivity of your website. It has been designed using AJAX technology. It is compatible with WooCommerce to support online selling of your products. The theme is updated with WordPress 5.0+ and comes with responsive designs. It has the support of modern header style to garnish your headings, sub-headings, and 4+ home pages. 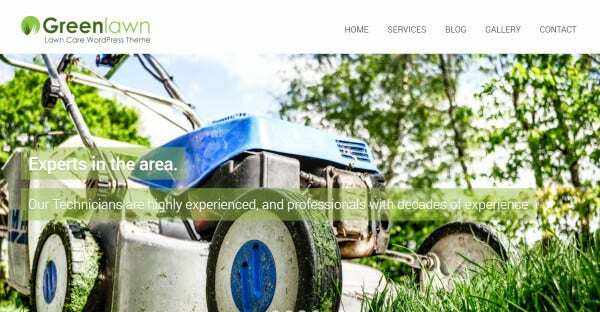 If you have a new startup on gardening, landscaping companies, lawn service business and small gardener business then you can use this theme to put up an attractive layout. You can take control over your business by using a compelling content using powerful drag and drop page builder. You can customize the outlook of your website by various configuration options. You can embellish your chosen theme by using the functionality of various widgets. 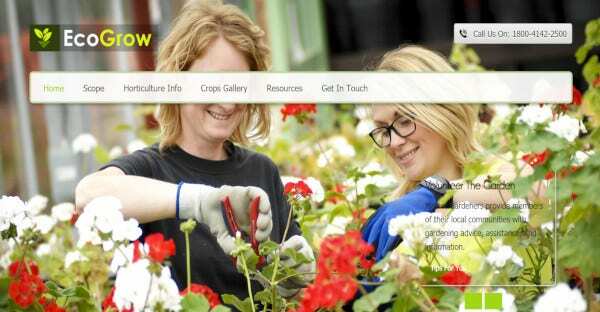 It is the best WordPress theme to display your online family gardening business. It supports a movable sliding section to exhibit the best clicks of your gardening apparatus along with some fascinating videos on landscaping business. You can add elusive facts about gardening to draw in more clients. 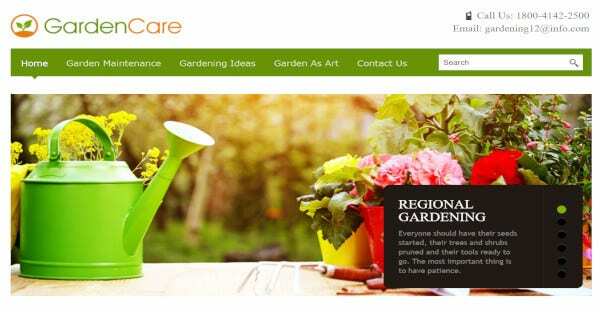 This theme offers eye soothing vibrant colors to cater to gardeners of all ages. This Social media integrated WordPress theme has more than eighty shortcodes, fully editable, custom posts, multilingual, WPML ready layouts. It has an easy two-step installation. It has the support of various widgets like comment and social sharing. It has multiple color options to adorn the website for various customers. You can share your images by using a fantastic slider. 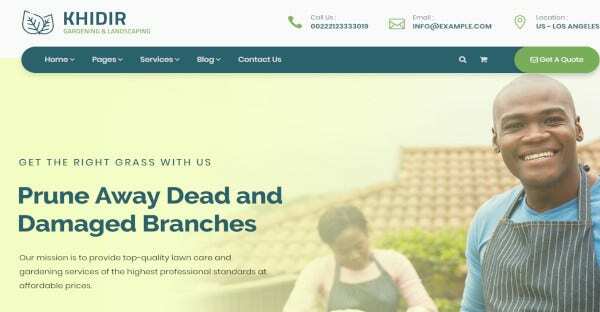 You can attract customers with this custom template and it built with WordPress 4.9+, fully responsive layouts, inbuilt gallery pages, widgetized side and footer area. Home page menu comprises business logo at one corner along with the navigation menu. The home page also flaunts a full-width slider to display your gallery of products along with slider description. 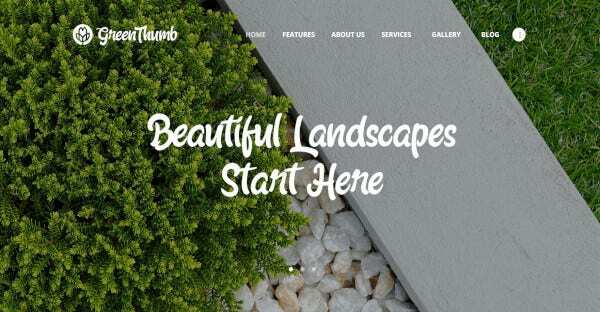 You can assemble the best shots of your gardening and landscaping exhibits to display on the full-screen slider of your home page. In the full-screen slider, you can focus on the specialties that will make you stand apart from your competitors. It also facilitates blogging on your business related ideas can draw in customers effectively. It was laborious in the old days to set up gardening and landscaping business selling various accessories related to gardening like mowers, grass cutters, etc. The growing age of the internet has increased the field of advertisement for any business and hence has increased the number of customers availing any product through online business with the help of various WordPress themes and templates.